So I told you all last week about how I was beginning to nest like maniac. Well, maniac status has been surpassed, I would say, but I am on the wind down considering all that has been accomplished. I had these lists in my phone of all the things that needed to be done before the baby got here....call it wish list of sorts because I certainly didn't think that we would be accomplishing all of those things. This week I kept the whole nesting movement going with some finishing touches including getting the guest room more fully conceptualized, hanging the rest of the shower curtain stuff and getting the bathroom more organized. I figured I would share a few pictures of my nesting adventures because, really, why not? So, with everything going on, I found this cute hook thingy. 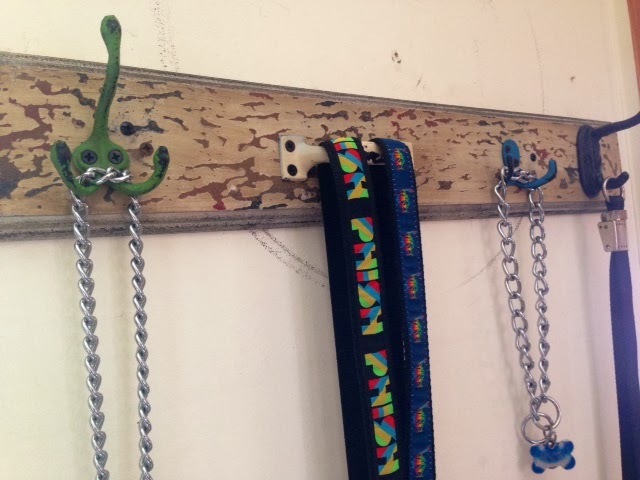 Perfect for hanging all the dog's collars and leashes on in their room. Yes, they have their own room...what can I say? It just happened that way years ago and it stuck. And I got my cat this bed. It's called a "honeycomb" which I thought was cute. I worried that he wasn't going to like it, but after a few days, he seems to have warmed up to it. Not that you can tell from the look on his face or anything. Sour puss. This makes me particularly excited...it's my cheese thingy that I found at the thrift store years ago. I never use it, but I would not part with it because it's too stinking cute. 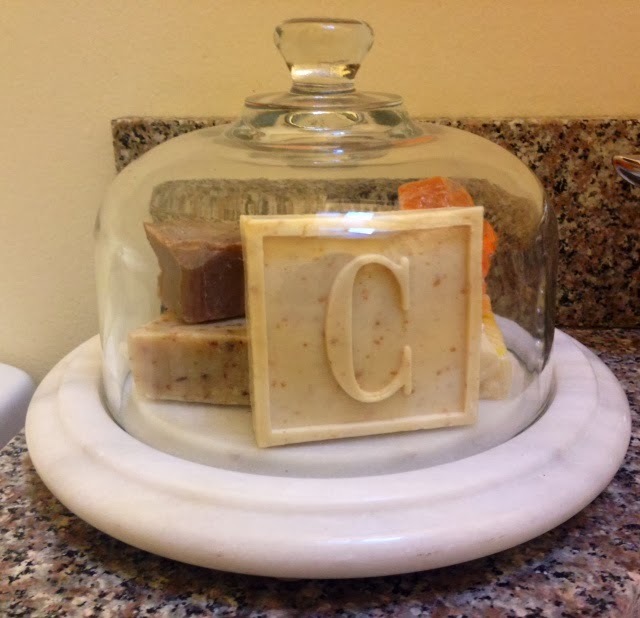 That's when it occurred to me that it's the perfect soap display! People always get us soap, which is funny because as much as I love to look at these soaps, I can't use them. I have sensitive skin, so I can only use one kind of soap. Now, I feel like I can enjoy the soap...and the cheese thingy. 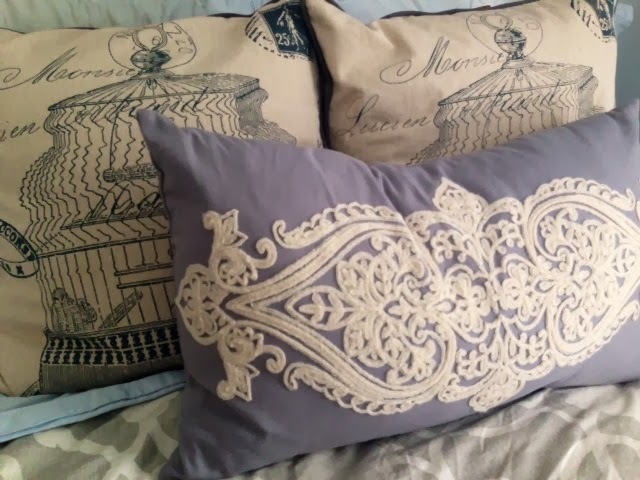 Guest room throw pillows! These make me so happy. I don't know why, but throw pillows just say "luxury" to me. And throw pillows in the guest room say, "I am glad you came to stay."